BRISTOL - A former city man accused of defrauding AT&T, his then-employer, out of more than $50,000 has been granted a program that will allow him to sidestep prosecution and keep a clean record. Aroob Khan, 29, currently of Newington, agreed to pay the telecommunication company restitution in exchange for the granting of his application for Accelerated Rehabilitation during a hearing on Friday in Bristol Superior Court. He is scheduled to be in the program until Nov. 5 and must avoid any further arrests during that timeframe. If Khan is successful in Accelerated Rehabilitation, one felony count of first-degree larceny lodged against him will be dismissed at the conclusion of the program, keeping his criminal record clean. 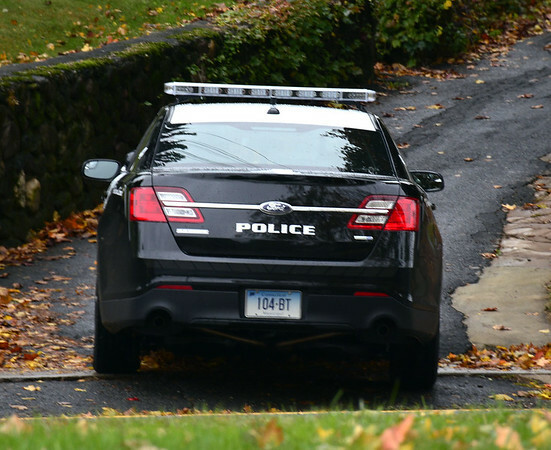 Bristol police allege Khan falsified the sales of 62 iPhones, tying them to nearly a dozen fake accounts linked to his former Bristol address, an apartment on Farmington Avenue, and found a buyer for the stolen devices through Ebay, according to the warrant for his arrest. AT&T, which reported a total loss of $55,044 attributed to Khan, was made aware of the scam after receiving an anonymous call on April 18 last year about Khan, who had worked for the company since 2013, according to the warrant. When asked five days later by an AT&T investigator to do an interview, Khan, a mobile sales rep, “resigned immediately,” handing his identification and work vehicle keys to his manager before leaving the building, the warrant said. A Bristol detective spoke with Khan during the investigation, when he agreed to cooperate, saying there were numerous other people in the company who were scamming AT&T, according to the warrant. Because of this, Khan told police, he felt that honest employees were losing out on sales commissions. Khan told police this led to him conning AT&T out of 62 cell phones, between March and April 2018, using a transaction code that allowed him to sell the phone for nothing, according to the warrant. The phones were tied to phony accounts that were registered to Khan’s old address in Bristol. Khan also admitted to police that he found a buyer for the phones on Ebay, although he decided not to sell them through the website and instead met the man in New York on four occasions, bringing several phones with him each time, the warrant continued. He told police he was paid between $400-500 for the first phone he had sold, when the man asked if he could get more of them. Khan told police the buyer stiffed him out of the money for the last 21 phones he had sold. His lawyer Salvatore Bonnano said on Friday this was very out of character for Khan, insisting to Judge John Cronan that he is very unlikely to offend again - a finding Cronan needed to make to grant Accelerated Rehabilitation. “I don’t know what came over him,” Bonnano said, adding that his client on Friday had a check with him for full restitution for AT&T. Posted in The Bristol Press, Bristol on Friday, 8 February 2019 18:16. Updated: Friday, 8 February 2019 18:18.